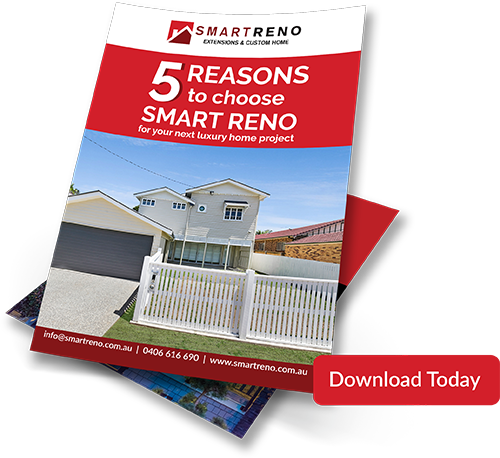 Whether you require a full design and construct, a knock down and rebuild or already have your design ready to go, SmartReno can help with your new Custom Luxury Home build. It is in our DNA to deliver nothing but a premium quality luxury home for you, with expert workmanship and above all customer service. We understand your home is one of the biggest investments you will make and to that end offer you complete transparency and communication throughout your build, from start to finish. It’s exciting to build your new home and we want to make the process as seamless as possible. That’s why we offer you an online construction portal where you can enjoy the creative process of building your new home in an orderly and easy-to-follow process. 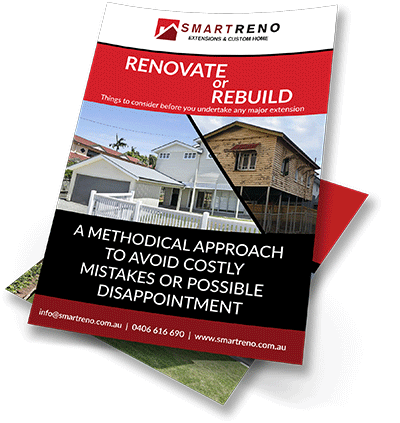 SmartReno is a specialist custom design builder in which we look after your project from the initial design phase, through to construction and full completion. With Design & Construct, we start with your dreams, ideas and visions of your new luxury home. We listen to your needs, expectations and requirements to design a home that is tailored to you specifically; while offering professional advice and practical suggestions to achieve the best outcome that fits within your budget. We bring your vision to life with detailed floor plans that include flexible, functional and achievable options, allowing you to be as expressive as you wish in creating a luxury home that is uniquely yours. The Design & Construct approach ensures your project is personalised with complete transparency and communication throughout the entire process from start to finish. We ensure no detail is left out and no compromise is made on quality, materials, and delivery. From your selected options, we provide a detailed scope of work and pricing so there are no hidden surprises. As we completely oversee your project at each phase from initial planning to execution, our Design & Construct approach also minimises potential issues due to design errors, omissions, or unnecessary alterations after commencement of the construction process; thus adhering to timeline and having your home completed within the set timeframe. 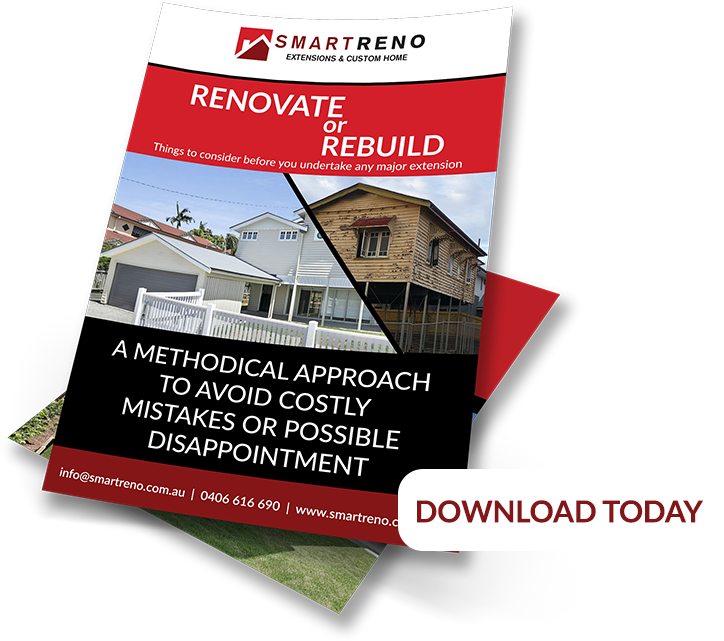 Our Custom Design & Construct service is also suitable to Knock Down Rebuilds, in which the SmartReno team will manage and coordinate the complete process from the knock down, debris removal, and to preparations required for the new build. As a specialist custom builder, you will be communicating with an experienced, knowledgeable team and not a salesperson. With over 80 years of combined experience in the industry, our professional team at SmartReno understands the importance of delivering a stress-free, on-time, and on-budget home build experience. If you are looking for a qualified builder with a focus on customer service and satisfaction, then look no further. People are the heart of our business. We listen, understand, and respond with transparency, responsibility and honesty. Our process focuses on the SMART principle: Specific – Measurable – Attainable – Relevant – Time-Bound. With SmartReno, you will deal directly with your builder personally, and your builder is available to answer any questions at any time – that’s the SmartReno promise! Experience the SMART Reno difference – Book a 15 Minute Consultation and let’s talk about your dream home today. It is important with any build or construction project, to engage the architect, designer and builder at the same time at the beginning of the project. SmartReno is your one-stop shop for any construction project. We work closely with leading designers and architects with an intimate understanding of construction methods and materials to not only bring your vision to life, but also adapt your ideas into achievable, functional outcomes that fit within your budget. Their design team also have extensive knowledge of the latest trends to provide you with modern, creative, and flexible options to suit your style. If you already have designs in mind, our team at SmartReno can also assist with your build project by providing practical feedback, suggestions, and improvements if necessary, to ensure the construction is as close to your initial concept as possible. Our experience in the industry and expert knowledge is the key to your successful build.